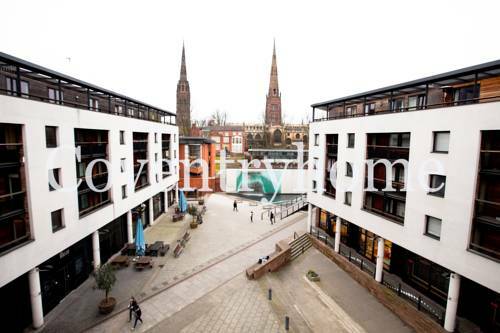 In Coventry’s centre next to the famous Coventry cathedral, these sleek and stylish apartments boast Freeview or Sky TV and wireless internet. They are located just opposite the bus station. The spacious, open-plan living area features modern d�cor and sofas. Guests can also relax in the lounge or enjoy a meal in the dining area. Nearly all the units have their own private balconies overlooking Priory Square and fountain. 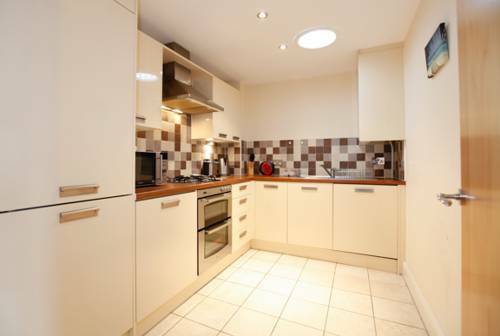 With an integrated oven and hob, the fully equipped kitchen includes a microwave, and a fridge/freezer. 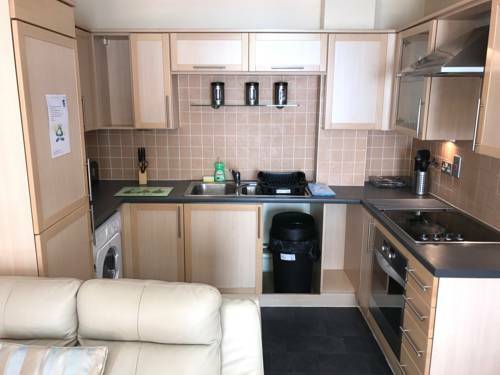 Guests can also make use of a dishwasher and washing machine. Parking is available, and Coventry’s Cathedral Lanes and West Orchards shopping centre are both less than 5 minutes’ walk away. 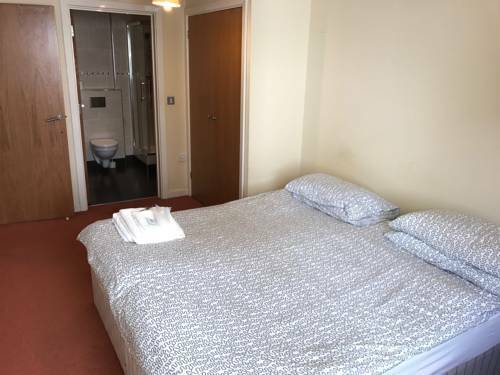 Coventry University is 5 minutes away on foot, and Coventry Rail Station is a 10-minute walk. Coventry is an evolving and innovative university with a growing reputation for excellence in education. Independent surveys show that we provide a caring and supportive environment, enriched by a unique blend of academic expertise and practical experience. Three words set us apart - employability, enterprise and entrepreneurship. Coventry University was 'Highly Commended' in the Entrepreneurial University of the Year category at the Times Higher Awards 2008. Coventry & Warwickshire has a wealth of local attractions to inspire the visitor! Whether your taste is for castles, family attractions, Capability Brown landscapes, organic gardening, motoring heritage, mediaeval guildhouses or outdoor art parks, we have something for everyone. Make your senses come alive by visiting Coventry city centre. There are oodles to do and whether high street chains stores or quirky independent stores are your preferred destination, Coventry won't disappoint. Cafes, pubs, bars and food courts offer ideal lunch and coffee breaks to ensure your shopping experience is truly tasty. The Learning Resource Centres provide combined Library and Information Technology facilities for students and staff. Although the ground is beginning to show its age, it is still an enjoyable place to watch football, as the crowd are close to the playing action. The stadium used to have a large open terrace at one end, this has been replaced by t he East Stand, which is single tiered with a couple of supporting pillars. The other end is a two tiered stand that has an upper shelf that partly overlaps the lower tier. The upper tier has supporting pillars. One side, The North Stand, is a two tiered stand again with some supporting pillars which could obstruct your view. Away supporters are housed in one side of this stand.